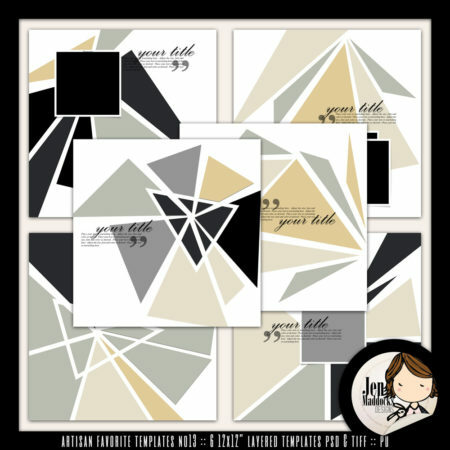 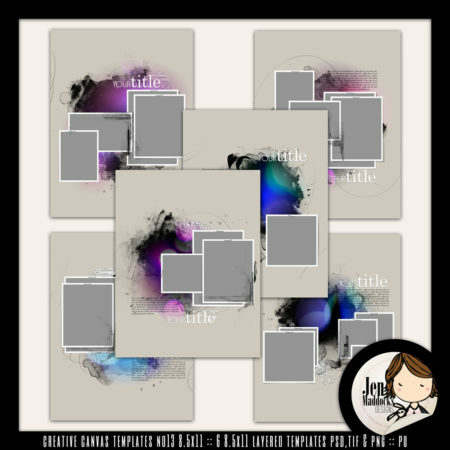 Creative Canvas Templates No14 8.5x11 features 6 8.5x11” layered templates for scrapbooking. 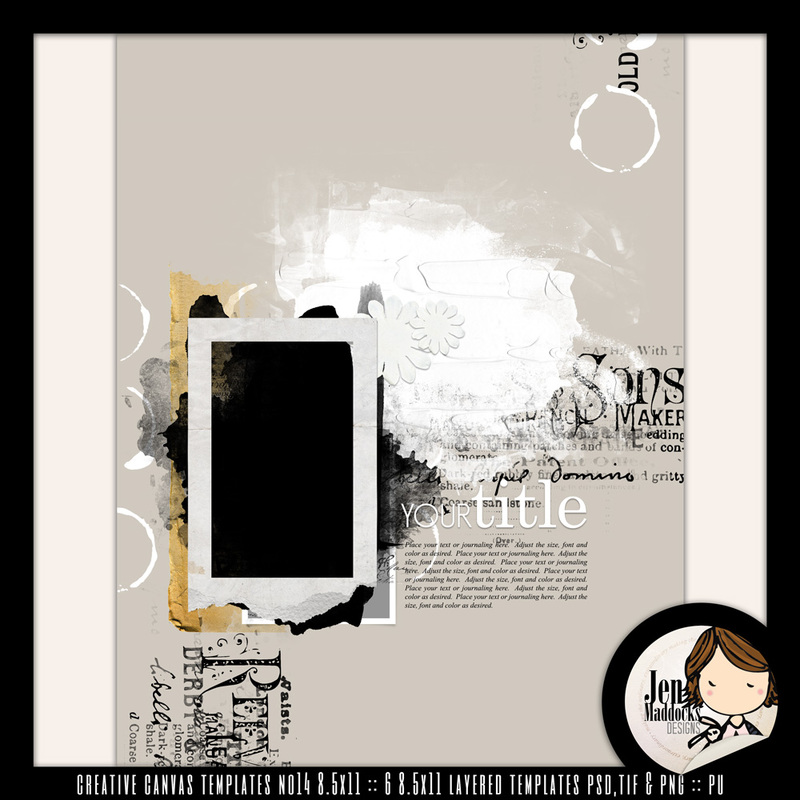 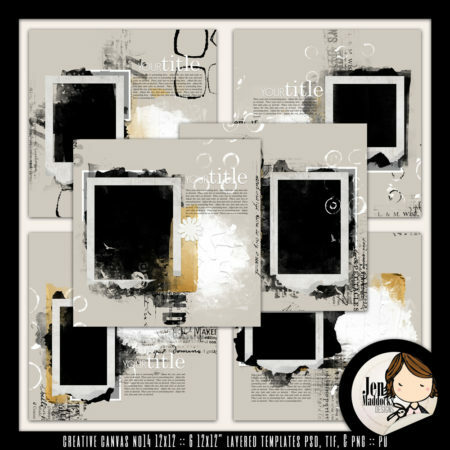 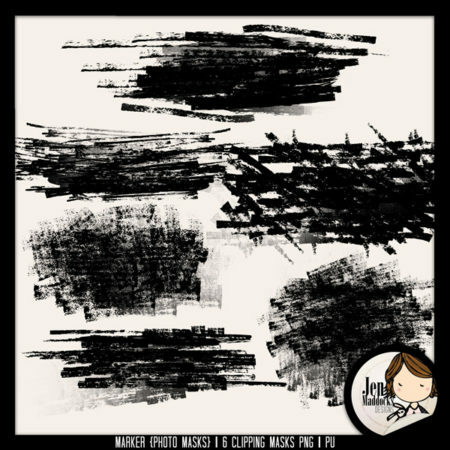 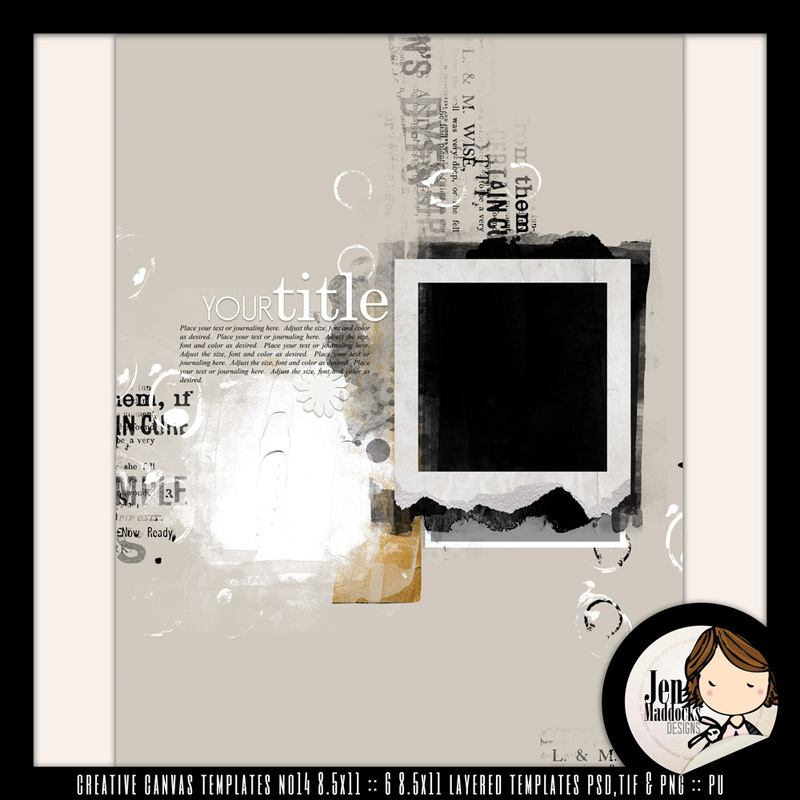 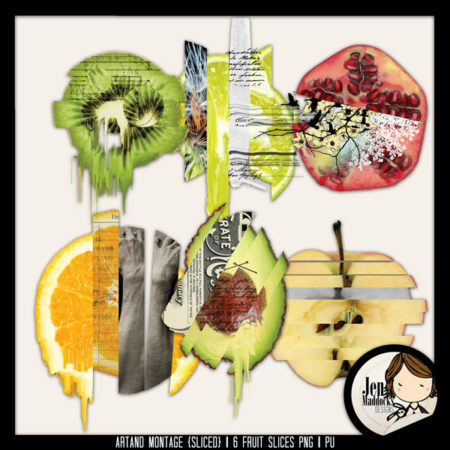 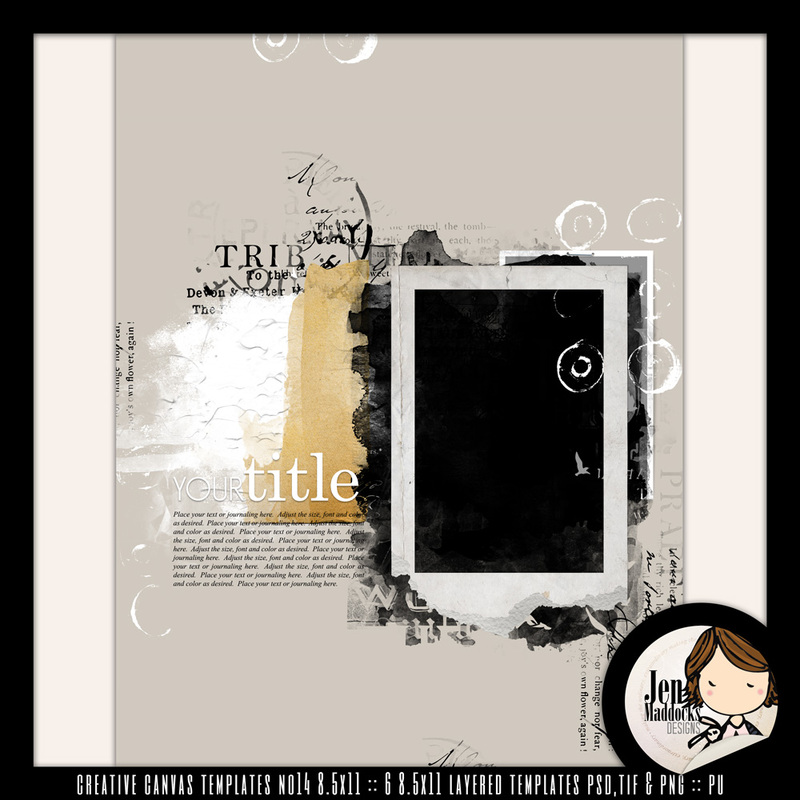 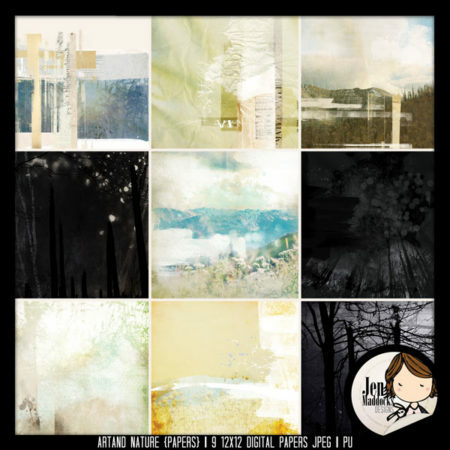 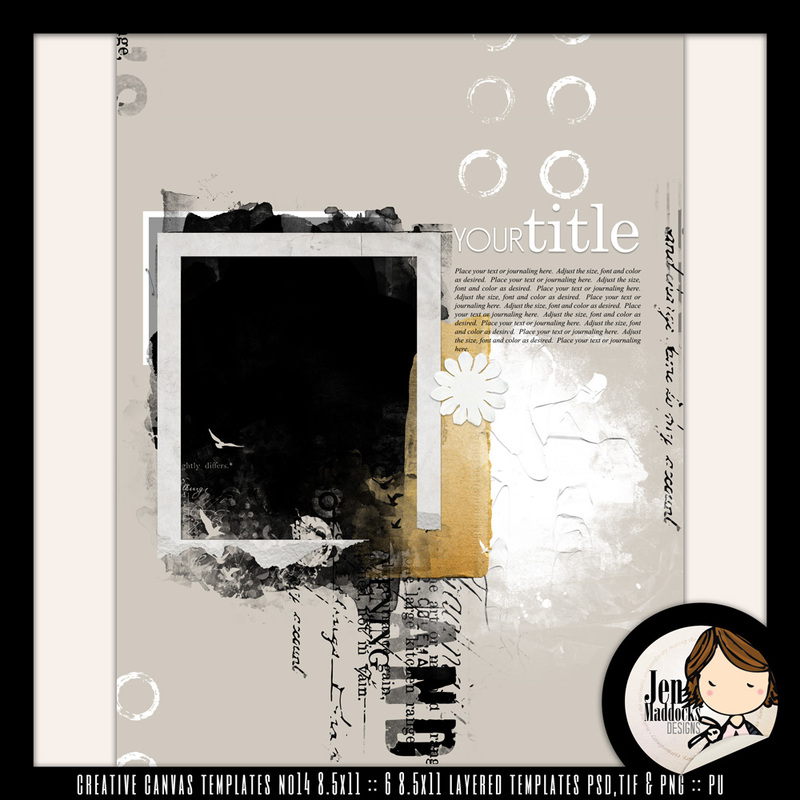 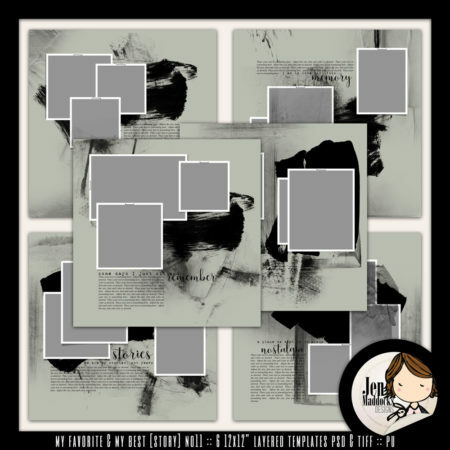 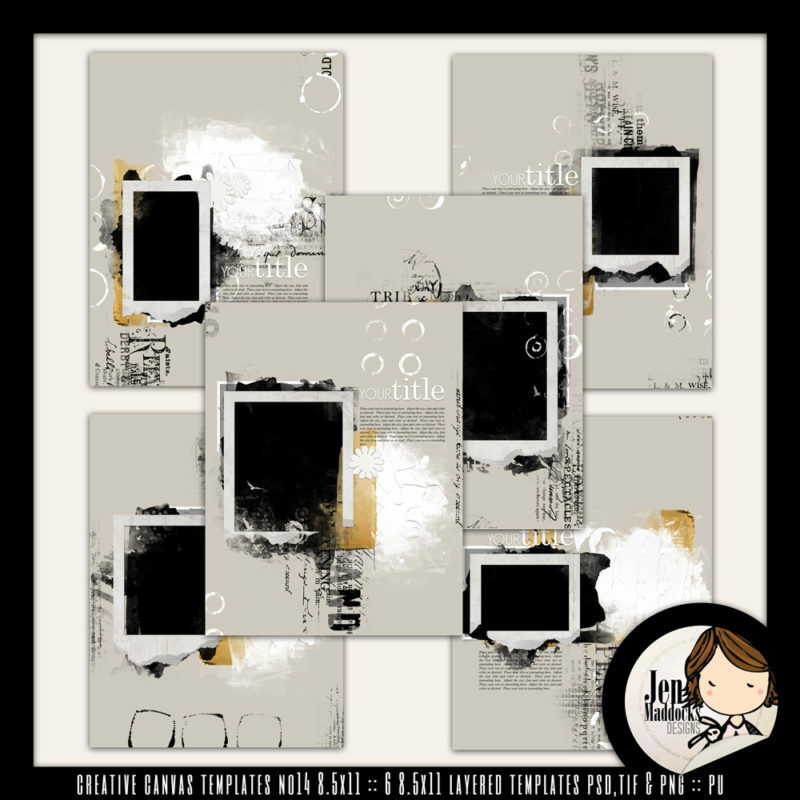 These templates have many layers filled with grunge, paint, overlays, places for your photos, title and journaling making it easy for you to just plug in your photos, papers and elements for a layout done quickly and beautifully! 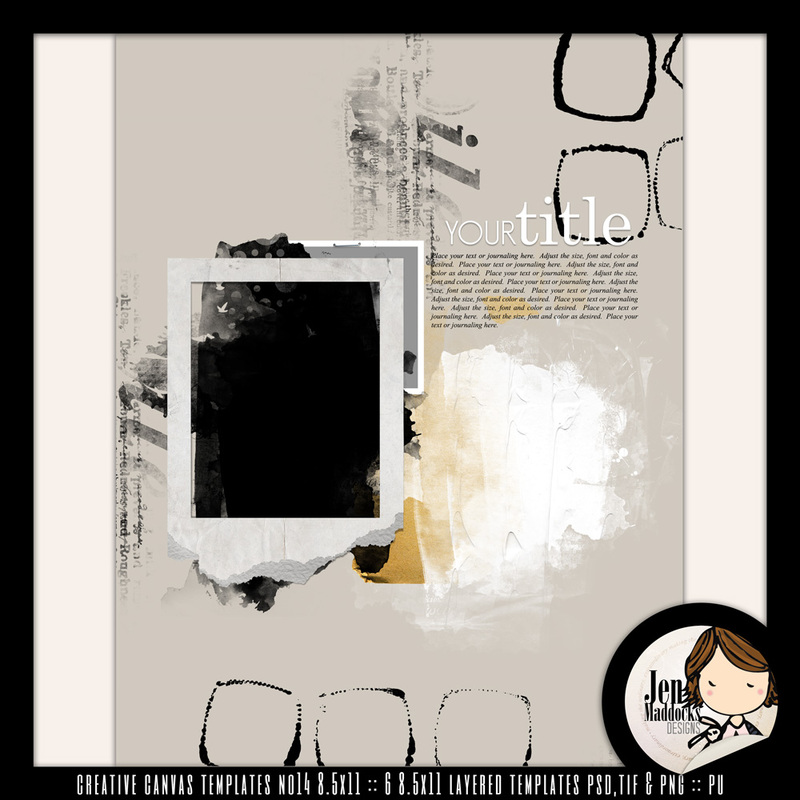 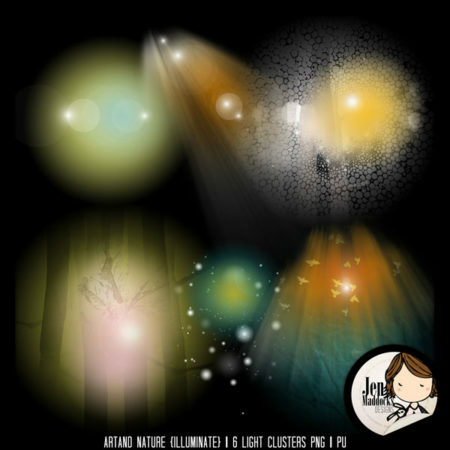 Each template comes with the following files: PSD, TIF, and PNG.